The Gunnison Bay of the Great Salt Lake in Utah offers a unique and large-scale opportunity to examine geomorphological effects that man-made structures have on developing the diverse and sublime micro-environments in the region. 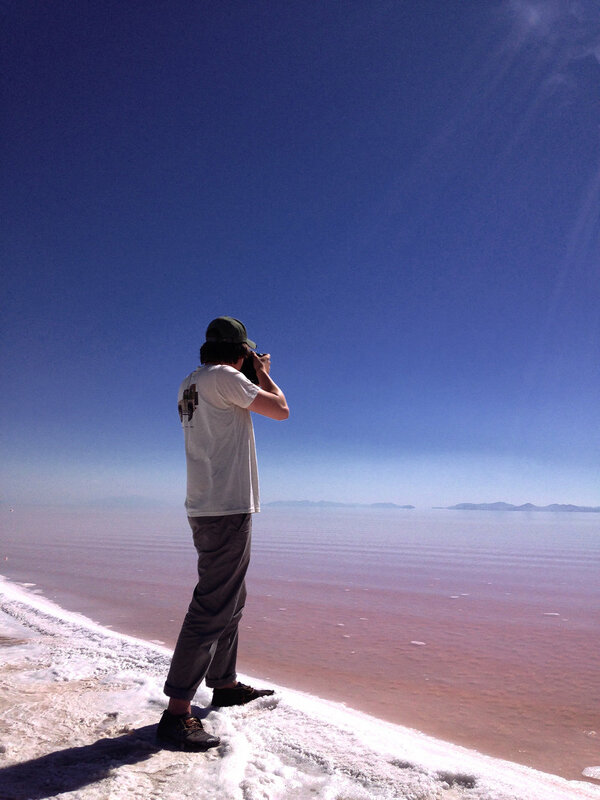 The extreme salinity (currently nearly 30%) is a result of the division of the Great Salt Lake into two distinctly different bodies of water with the construction of a 12-mile railroad causeway in the 1950s that replaced an open trestle that was built in 1904. Since the northern portion of the lake was effectively cut off from the three major rivers that supply fresh water to the lake, as time passed the salinity reached such levels that almost nothing could survive, except 2 million tons of alga Dunaliella Salina and sulfur bacteria, which gives the lake its surreal color. I was fortunate enough to be able to spend some time in the region exploring this surreal landscape through aerial cinematography. Standing on the watery fringes of this seemingly alien planet was by far one of the most unique landscapes I have ever seen. twelve miles is a short film I created as a meditation exploring the vast change a simple intervention can create. It is an opportunity to examine human ambition and our own geomorphological presence within the landscape.